Smsgwadapter Server Admin Credentials Revealed ! A Indian hacker, hack into the one of the SMS Server (Smsgwadapter) at 122.165.52.84 IP address. According to the hacker, This is the most unsecured Server got owned by a simple password guessing. 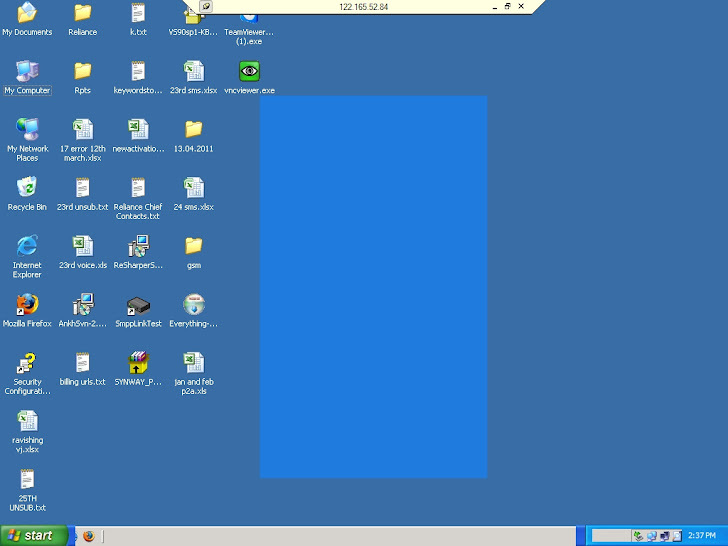 In screenshot you can see the desktop of same server after login by him. This IP address actually was of http://smsgwadapter.dadp.com which is client of Reliance Industries Limited, That can be checked here : .http://whois.domaintools.com/dadp.com . The Domain looks to be down, But server at 122.165.52.84 is working and at Risk ! The Server name is "RIMSMS" and User "administrator" , Cant share password for Security Reasons. If you are a Server admin, Then the 1st rule is always that keep some special characters in your password, well in this case the password is a very simple word.